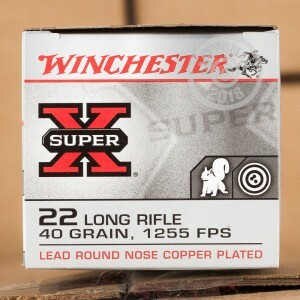 This high velocity ammunition from Winchester delivers solid performance on the range and for small game hunting. Each cartridge in this box of 50 fires a 40 grain copper plated lead round nose bullet at 1,255 feet per second from a 6 inch test barrel. 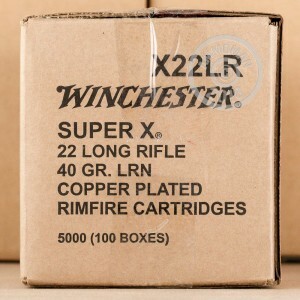 These cartridges use rimfire-primed brass cases and are loaded in Oxford, Mississippi. 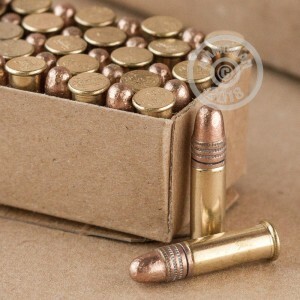 Stock up on ammunition at AmmoMan.com and get free shipping on all orders over $99! Order today, before there is another run on 22 LR ammunition.